Velosolutions Pump Track Aranyaprathet, Thailand from Claudio Caluori on Vimeo. Visit Aranyaprathet in Thailand and it's beautiful people together with Adrien Loron and Claudio Caluori from Velosolutions and see how the asphalt pump track was created. You might have heard of the term 'granny gear' before. If you haven't, a granny gear is the smallest cog on the front crankset of your bike. If you haven't already become best friends with it, you may need to start! Your selected gear ratios for a touring bike depend on a number of factors: where you plan to travel, the terrain, your experience, how strong you are as a rider and, of course, how much gear you're lugging around. We recommend picking gears for all occasions, that is, having gears low enough to go up the steepest climbs, and also having gears high enough so you don't 'spin out' when the wind is on your side. The smallest chainring, the granny gear, is often the one you should worry about most. A good guide for touring bikes is to have a granny gear so small that riding in it works out to be the same speed as you walk. You can never have a gear low enough on a touring bike! The best way to compare chainring and cassette combinations between bikes is to check using gear inches. They are very easy to calculate: the diameter of the wheel, times the size of the front chainring, divided by the size of the rear cog. Using gear inches, you can compare bikes with different wheel sizes and drivetrain setups. On a touring-specific bike, you're looking at 15″ in the lowest gear up to 110″ in the highest. We do our calculations with Sheldon Brown's Gear Calculator. Given that touring triple cranksets (48-36-24) have a range of 15-110″, how does that compare to drivetrains on different bikes capable of bicycle touring? Ever dreamt of putting a mountain bike drivetrain on your drop bar bike. You know, to create the ultimate adventure bike with wide range gearing and a fast front end? Gevenalle has expanded their line of index-or-friction shifter equipped brake lever with the new GX model, which pulls just the right amount of cable to keep an XT rear derailleur in line with your MTB cassette. It’s compatible with Shimano’s modern clutch-equipped DynaSys and Shadow Plus 10-speed rear derailleurs with a cassette capability up to 36T. That’s a big jump from the 28T max of their BURD rear derailleur, putting you in the gearing range of the CX1 group. Ever since Shimano changed the cable pull between their road and mountain offerings, there hasn’t been an elegant way to run a modern road shifter and MTB derailleur. The GX changes all that. CHILLICOTHE – The cold weather isn't stopping members of a local mountain biking club from getting out and being active this winter. The Chillicothe Mountain Bike club gathered Saturday afternoon at Great Seal State Park for a ride, and group member Brian Jones said many of those who are involved go to races throughout Ohio. The club rides all year and normally has about 15 members who show up for group rides, Jones said. A Facebook page is the central point of contact for members, while the River's Bend bike shop on West Water Street also has details on upcoming group outings and events, Jones said. 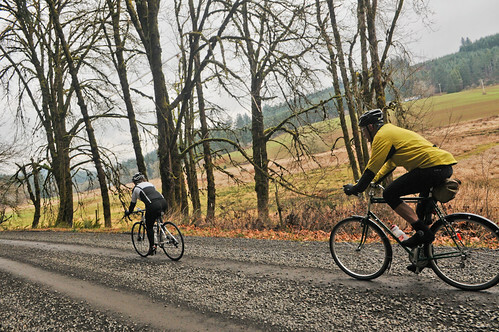 Great roads await in the hills surrounding the Banks-Vernonia State Trail. Once you open yourself up to the possibility of riding unpaved roads, a whole new world awaits. That, to me, is one of the most exciting things about the “gravel riding” revolution. It’s like we just scored a bunch of new places to ride and it came without loss of blood or treasure. On Saturday I joined a group of backroads connoisseurs on a 26-mile loop north and west of the small town of Banks. Many of you likely know Banks as the southern end of the very popular Banks-Vernonia State Trail. I have ventured off that path before, but Saturday’s ride took me in intriguing new directions. 25+ cyclists. Temps in mid 20's to start, lower 30's at end. 29 miles. 3200+ ft climbing. Four goats ran with us for a bit. Lots of dogs on the route. Thanks to Liz Samuelson for leading. The Hour was designed with cyclist Graeme Obree, an hour has a special resonance for him as he twice claimed cycling’s prestigious hour record. With the design of this watch Obree reveals a reflective, poetic sensibility: each hour is marked with a different word that holds a special meaning in relation to the passing time - a reminder to us to make the most of each hour that passes. 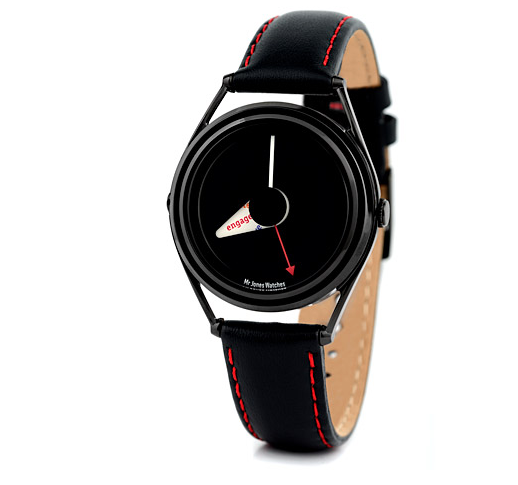 The design of the watch makes discrete visual reference to the bicycle - the aperture through which the words are read is based on the drivetrain of a fixed wheel track bicycle. Each watch comes in a MJW presentation box with a specially commissioned artwork by Hannah Davies. Inside the box you'll find the guarantee card - every watch is guaranteed for 12 months from the date of purchase against any original manufacturing defect. Graeme Obree loved bikes from a young age and joined a cycling club at 15. He got involved in the racing scene and found he was good at it. By the mid-eighties he had invented his own riding style much like a downhill skier. He was always fascinated by the purity of the individual time-trial against the watch and the One Hour Record on the track, which is the ultimate test of speed and endurance. In 1993 he built his own unique bike incorporating parts of an old washing machine which he named 'Old Faithful'. He used this to break Francesco Moser's World Hour Record which had been set at altitude and stood for nine years. He went on to become World Champion that year in Individual Pursuit. His innovative riding position was banned one hour prior to the 1994 World Championships but at least he had used it to regain the hour record from his biggest rival, Chris Boardman, a few months earlier. He re-invented himself in 1995 with a position popularly called ‘Superman’, with arms stretched out in front. He was again World Champion in 1995 and the superman position was used by several gold medal winners at the Atlanta Olympic Games of 1996. The ‘Superman’ position was banned soon afterwards along with Obree’s innovative bike. Graeme had suffered severe bi-polar disorder and this worsened in the following years which was headlined by two suicide attempts. He now lives a more stable life in Scotland and in 2006 a feature film of his life was made called ' The Flying Scotsman', which followed his searingly honest autobiography of the same name.